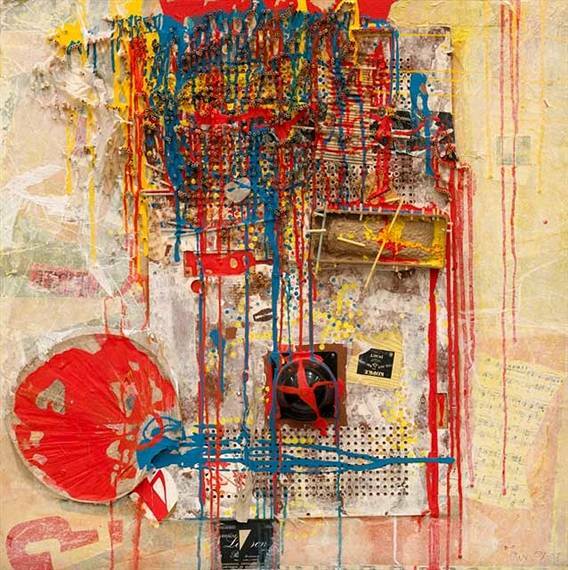 A provocative and prolific painter and printmaker, co-founder of the Painters Eleven group, Town worked simultaneously in a wide range of techniques throughout his long career (painting, drawing, prints, collage and assembly), and infused them with his characteristic ingenuity, fertile imagination and technical virtuosity. As the journalist and cultural critic Robert Fulford noted: "He always pursued parallel careers, as though he was convinced that the world deserved several Harold Towns at once." Around 1950, after graduating from the Western Technical School and the Ontario College of Art (now the Ontario College of Art & Design), Town joined a disparate group of painters from Toronto who were interested in abstract and modern art. In the fall of 1953, the group decided to collaborate in presenting joint exhibitions, and this is how the Painters Eleven, as it was baptised by Town, was born. After having organized several notable exhibitions and having attracted national recognition, the Painters Eleven disbanded in 1960. 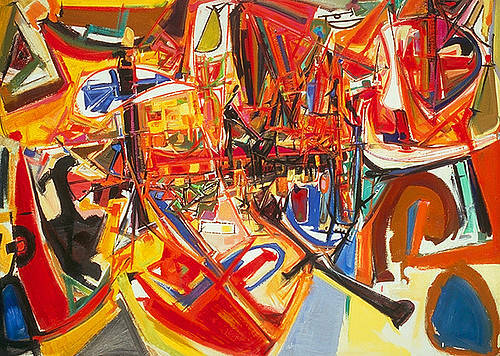 Town's works, which displayed a love of colour, energy and dramatic intensity, range from masterful drawings to geometric motifs, and include dynamic abstracts reflecting many inspirations and styles (Mechanical Forest Sound, 1953). Town's success was assured by his prints, and he created what he termed "autographic prints" (Seaburst, 1958). 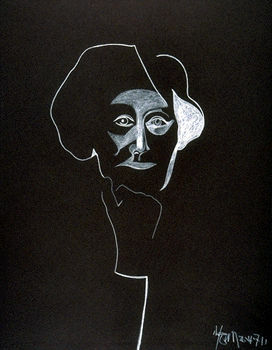 These monotypes, enhanced by painting and collage, attracted attention on an international level and confirmed the artist's reputation as an innovator. Aside from his abundant creative output, Town was an active writer with firmly-held opinions: he authored journal articles, exhibition catalog essays and four books. Town received a number of commissions for public works of art and twice represented Canada at the Venice Biennale. Throughout his career, he took part in major joint and solo exhibitions all over Canada, in the United States, Europe, South America and Japan. In 1957 Town received the Biennale de Sao Paulo's Arno Award, an honorary doctorate from York University in 1966 and, in 1968, became an Officer of the Order of Canada.